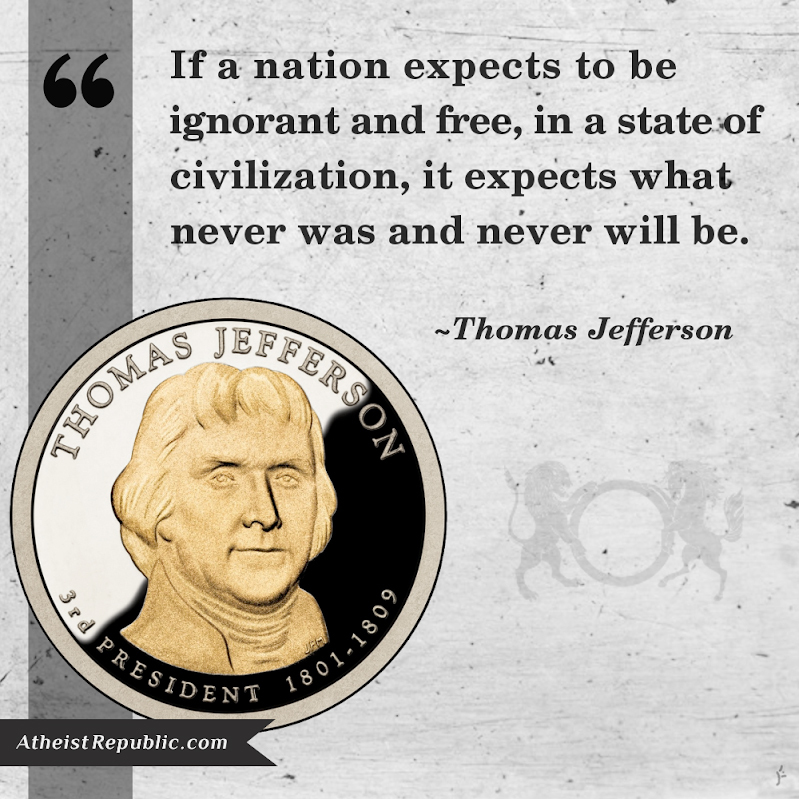 - Thomas Jefferson, Letter to Colonel Charles Yancey (6 January 1816) ME 14:384. And to think that we Americans now have a president and several other government officials who think we should remain enslaved and fearful of being punished by an imaginary sky daddy who at the same time wants to save us from the very same punishment. And why? Because we are otherwise IMMORAL! Because all non-believers are cruel, heartless and immoral monsters who are not (and don’t deserve to be) American! Isn’t it sad that this secular nation is now being falsely purported to be a “Christian Nation™” by a bunch of power-hungry theocrats?